Our lives changed the moment we had a child, but we still enjoy our road trips with our little one. Here are our tips on how to make sure everyone is having fun! I was always told that traveling with kids was going to be hard, and that it isn’t as simple as grabbing a durable travel pack and hitting the road. While our lives changed the moment we had a child, it didn’t mean that we were ready to stop exploring: It just meant that it would take a little bit more time and careful packing to get us out there. Here are the tricks my family uses to keep our road trips organized, and—just as important—to make sure they are fun for everyone. It’s hard to have fun when you’re in a rush. Part of the fun of traveling is enjoying the journey, and this is true for little ones too. There are so many sites to see along the route, and we like to stop at least every two hours at a fun country store, landmark, or rest area—any place that has some space to let everyone release some energy. It can get uncomfortable for little legs to be in a car seat for so long, especially since most kids are used to running around most of their days. A plot of grass, a bathroom, and a snack can help rejuvenate the entire family. 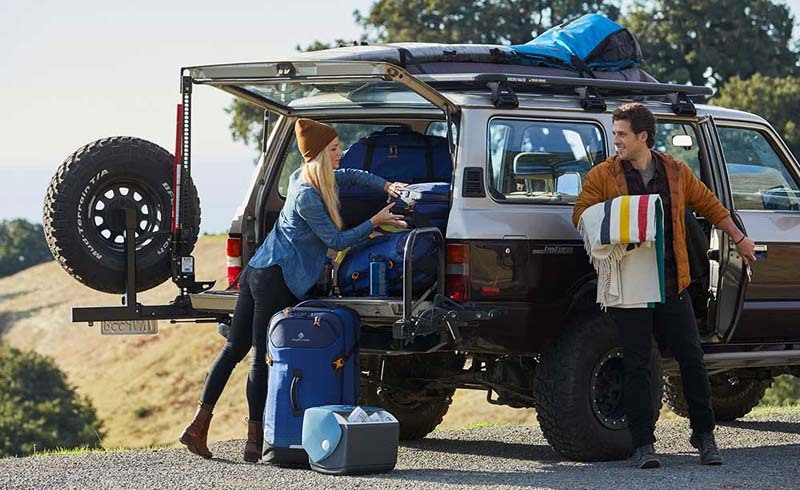 You don’t want to get to your destination and discover that you forgot diapers or your toddler’s favorite stuffed animal, so pack a bag for each member of the family. 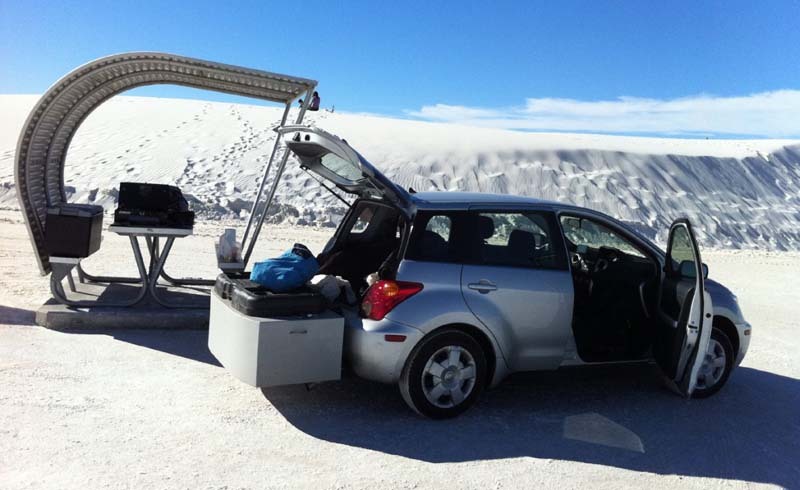 For our family, we use the Expanse AWD 26 for long weekend road trips because it’s super-compact when filled with the essentials, but can also expand for when we’re stuffing that last piece of “Will I need something warmer?” clothing (or aforementioned favorite stuffed animal). For longer trips, the Gear Warrior™ 32 has enough space for the whole family. While carrying a suitcase is old hat for the grown ups, having such a “big kid” responsibility is a novelty for the little ones. When space permits, let them have a bag of their own, like the Expanse Wheeled Tote Carry-On. This convenient carry-on is the perfect size for kids to carry their most prized belongings wherever your travels might take you. The best part is that the No Matter What™ Warranty covers just about any damage that may result from your kid’s less-than-delicate handling. After a long time on the road when the snack supply has been exhausted and there is no rest area in sight, my final secret weapon is a toy grab. Before the trip, pick up new, inexpensive toys, and pack them away for each child in a different colored packing cube with a handful of toys inside. The toys keep the kids occupied for the road ahead, and the cubes keep the car organized for easy unloading at the final destination. Road trips with the family can be a lot of fun. If you take your time to enjoy the journey, stay organized, and view the journey as part of the experience, you can create lasting memories—the good kind!—for the whole family.